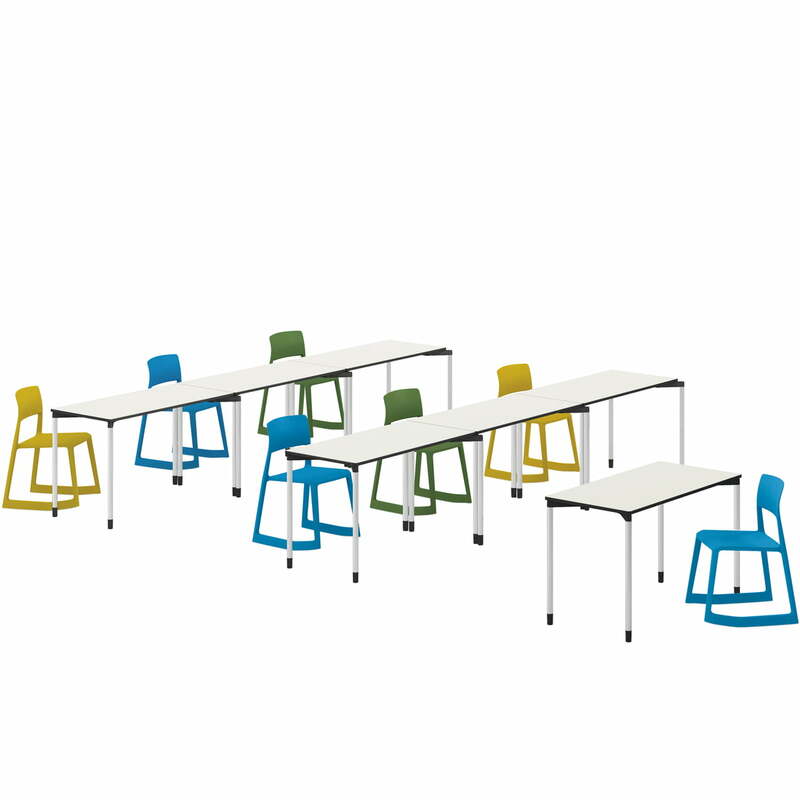 Map by Vitra convinces in all situations where flexible arrangements and optimal room usage are necessary. The design is by Edward Barber and Jay Osgerby. 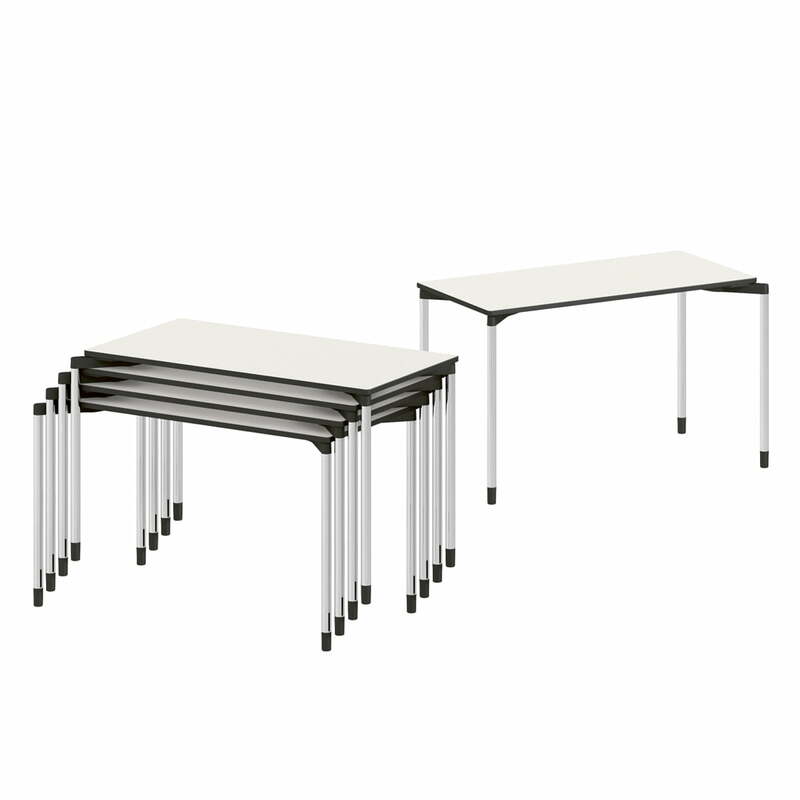 Through their experience in architectural planning and implementation of seminar and conference rooms, E. Barber & J. Osgerby have come to the realization that another type of tables are necessary. The result was the Map table. The vertical table feet out of steel rod are fixed at the tabletop with a fan-shaped panel of die-casting. This apparently simple technical solution does not only ensure the reinforcement of the tabletop, but also different feet positions. 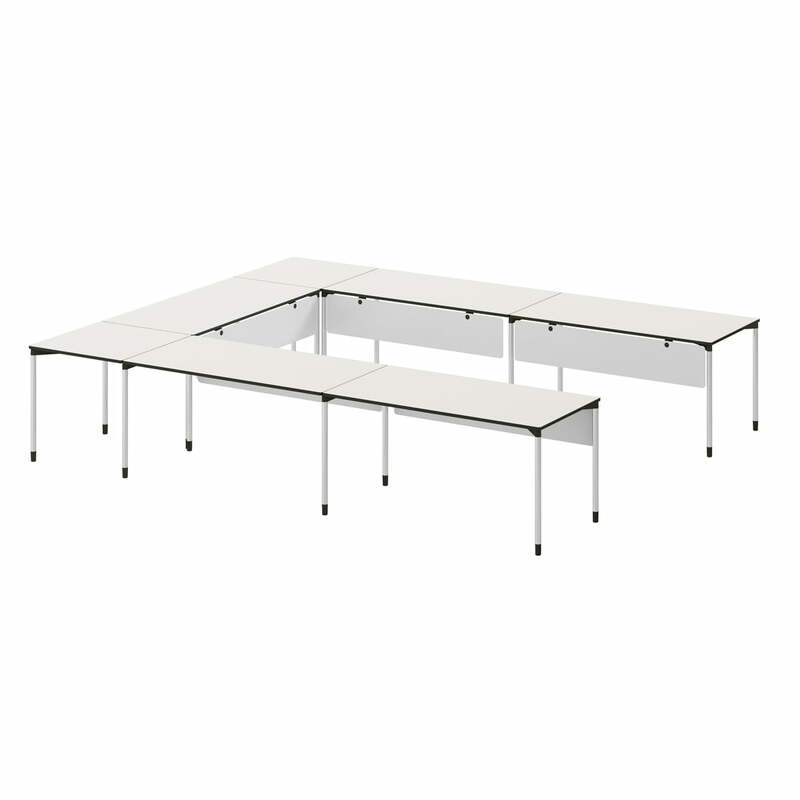 As an equally weightless and universal table, Map is ideally adapted to seminar and conference rooms where it perfectly suits the architecture with its unobtrusive and factual design. 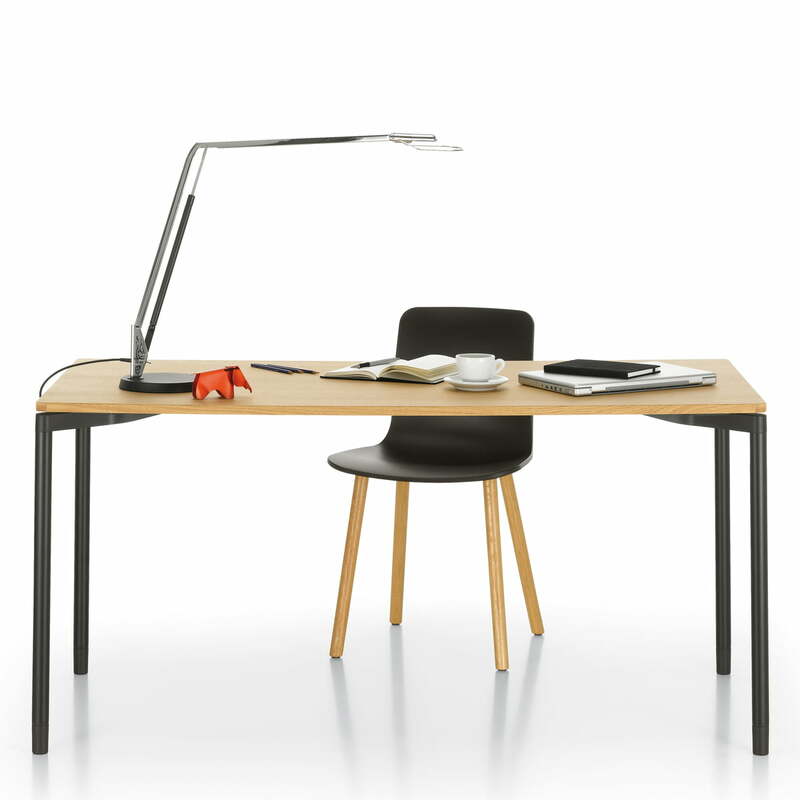 The Map table works also as an elegant single table and finds usage in the versatile “home offices” which get more and more important in today's world. 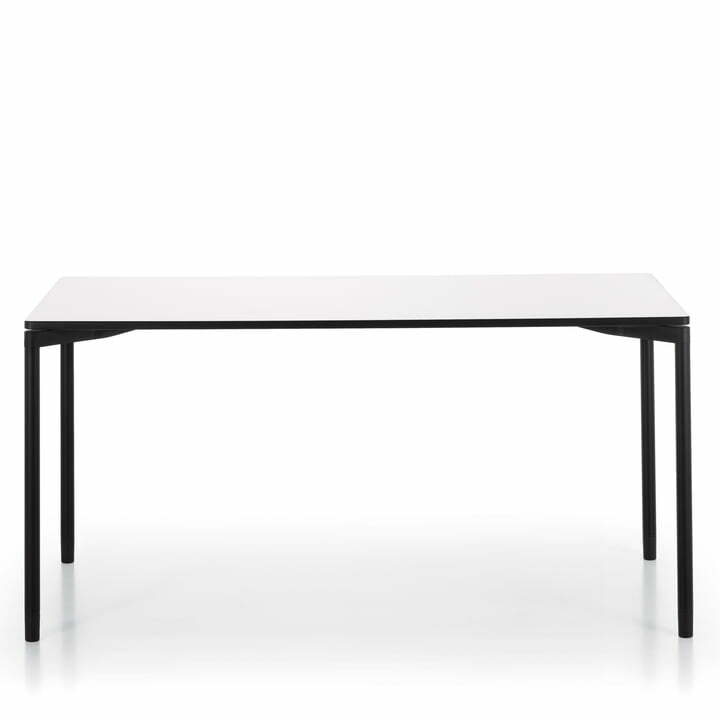 Vitra offers the Map Table in different colors. Furthermore, there are feet-room-blends, a cable belt as well as a cable-holder set available. Lifestyle product image: Vitra offers the Map Table in different colours. In addition, a legroom panel, a cable belt and a cable holder set are available. 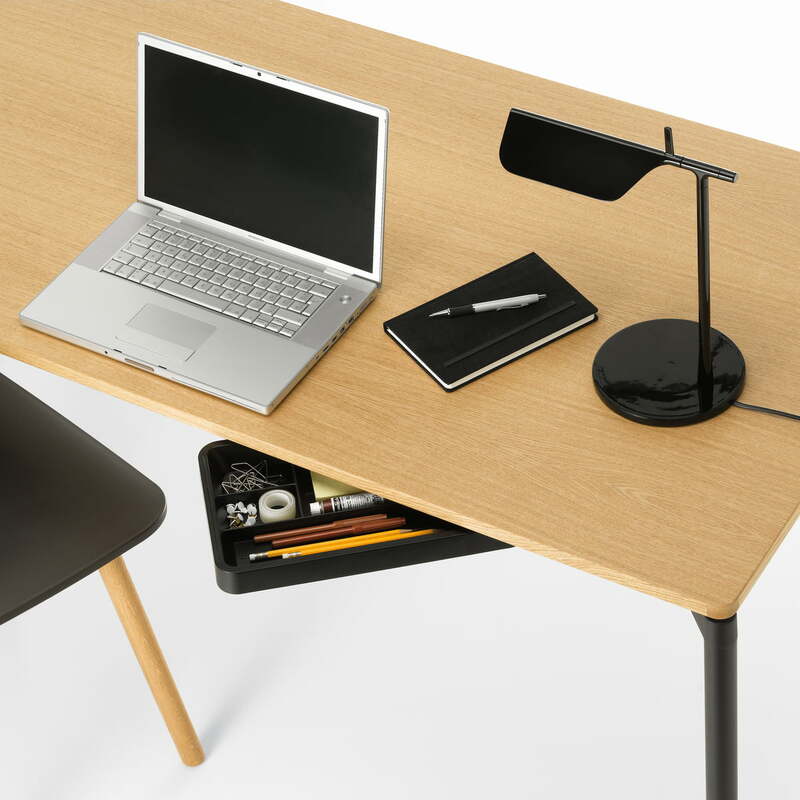 As an elegant individual table, Map can be used in the diverse "Home Offices", which are becoming more and more important in our modern working world.